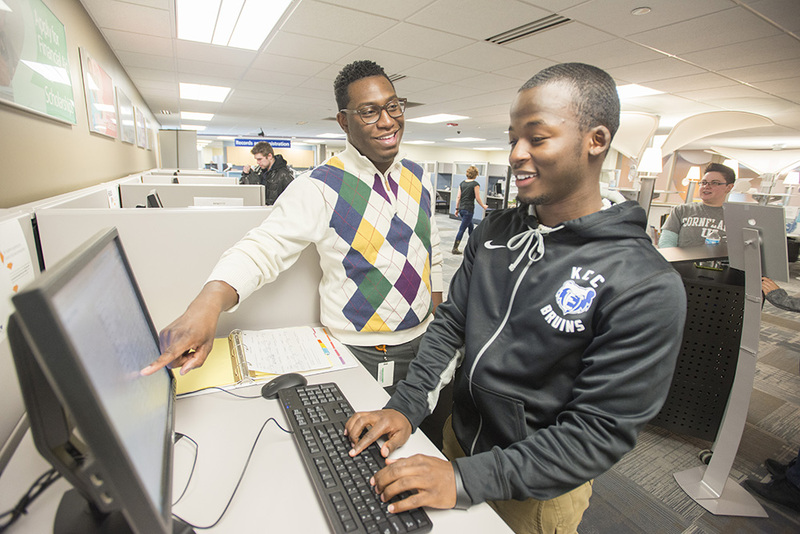 Kellogg Community College’s Admissions office is offering a series of Enrollment Help Days starting next month for students and prospective students who need help navigating the enrollment process, including application, financial aid, registration and advising. Assistance will be offered on a walk-in basis from 10 a.m. to 5 p.m. on the first three Tuesdays in November; the first two Tuesdays in December; and the first three Tuesdays in January at the Hub in the Student Center on KCC’s campus at 450 North Ave., Battle Creek. KCC Manager of Recruitment and Student Outreach Services Roderick Simmons said these services are available every day at KCC, not just during the Enrollment Help Days, but that promoting specific dates and times helps some students better plan their completion. Enrollment Help Days participants do not have to sign up in advance. Registration for KCC’s Spring 2017 semester begins Oct. 24. For more information, visit www.kellogg.edu/registration. Students interesting in applying to KCC can do so online at www.kellogg.edu/step1.